In the mood for a memoir? 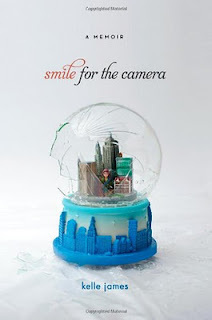 Try Smile for the Camera by Kelle James. Kelle James ran away from an abusive home at the age of fifteen to the best place she could think of. New York City. She was going to be a model, rich, famous, and she was going to find people who treated her right. She had no idea what was in store for her and within three days she was homeless and broke. What follows is her exceptional story of trying to make it on her own with nothing to her name and no one to trust. She endures a string of people, mostly men, who take advantage of her youth and beauty, many disappointments and rejections, and the most famous murder trial of the 1970s. This is the story of a girl losing herself before finding her way in the city that never sleeps.